Every once a while a movie comes along with a premise that makes you wonder how nobody thought of it before. Writer-director Dan Lantz's Bloodrunners is one such movie. 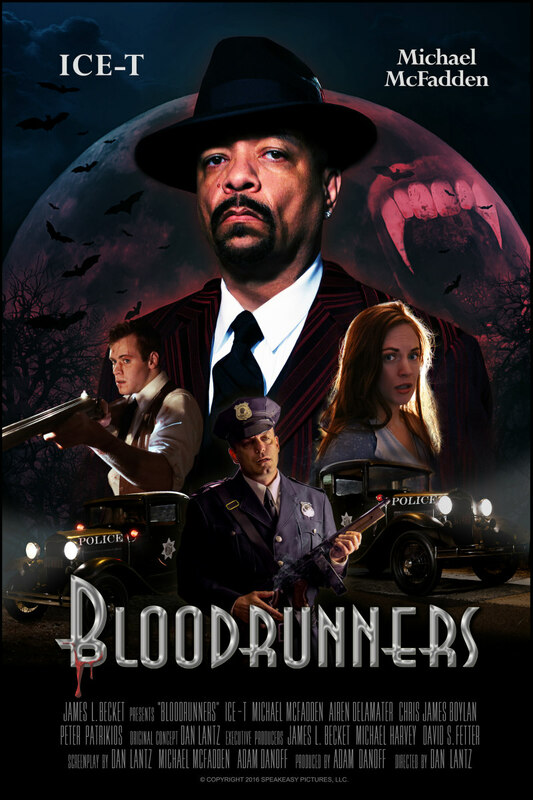 Ice-T stars as an ancient vampire intent on taking over a prohibition era town, but it's blood, not booze, that's on the menu in his speakeasy. Bloodrunners will be available to rent or own globally on iTunes and Steam and across the US and Canada on iTunes, Steam, Google Play, Xbox, Playstation and various cable platforms, including Comcast, Dish, Rogers and Shaw. The Blu-ray/DVD combo pack, featuring 1080p video, 5.1 Dolby Surround Sound and bonus features will be available on Amazon and the Bloodrunners official site.